Donna Bryson is an award-winning author and freelance journalist who has written for The Associated Press, The Wall Street Journal, The New York Times and others. 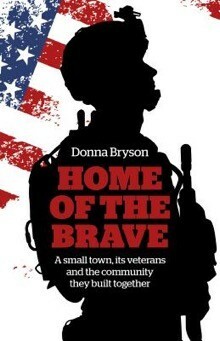 At the Twig Book Store, Bryson will be discussing her novel "Home of the Brave: A Small Town, Its Veterans and the Community They Built Together." Her previous book "It's a Black-White Thing" won first place in the nonfiction book category from the National Federation of Press Women in 2015.